Bangalore records its highest ever temperature...Hottest day ever for the Garden City, Silicon City of India ! After weeks of relentless heat, Bangalore touched 39.2c on 24th April 2016.The previous record was held on for 85 years, and was 38.9c recorded on 22nd May 1931. Last 30 days Graph for Bangalore...."Red" all over ! 2 more all time records broken in Karnataka...Mysore records 39.9c and breaks its od record of 39.4c last recorded in 1917 ! Mandya with 39.6c, also broke its highest ever record of 39.1c recorded in May 2003. On 24th April Sunday, Titlagarh shoots up to 48.5c (Hottest ever April Temperature)...4th day running as the Hottest place in the world ! Tirupati was very hot at 45.7c. All time record broken as highest ever in Tamil Nadu...Dharmapuri which was 42c on 24th beats its all time high of 41.4c in May 1991. Madurai at 42.3c and Tondi at 38c beat their April records. Rainfall News from Cherrapunji: Available data indicates that Hailstrom occurred over M.O. Cherrapunji from 1645 to 1652 hrs IST 9 23rd April) with diameter is 50 mm; With 421 mms rain in 24 hrs ended 8.30 24th April, the rainfall from 1st March -24th April = 2211 mms. Pune , After experiencing hot weather (near 40 C) has shown subsstantial drop in temperatures. Maximums are around 36 C (2 C below normal) courtesy strong breeeze throughout the day and night. Lets hope it stays this way. Thanks rajesh sir for listing the reasons for the extraordinary summer in east india and southern peninsula. Mysore recorded 39.9 yesterday beating the all time high of 39.4.
http://www.wxmaps.org/pix/prec6.html is predicting good rains from may 2nd to may 10th. Not sure whether to believe it or not. April 20th to May 10th have always been the core season for rains in bangalore during summer. Hope from early summer the usual summer rains come. Huge TS EAST OF BANGALORE. Hoping for deluge. Raining in many parts of bangalore. Very surprising rain. Waiting for the LWD statement from rajesh sir. After record break heat wave yesterday it's time for DS/TS in Bangalore today !! Bangalore max temp 37.1c today.. And lashed by dust storm with moderate rain ..
thank u so much for ur prompt reply sir, sir a prominent u shape (trough) over sindh tomorrow, do u see any activity? 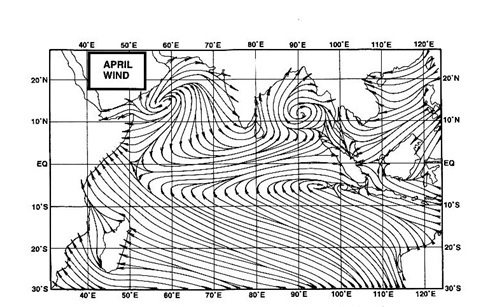 zohair: the low developing over sindh is the core of the seasonal low.